One of the easiest ways to record phone calls is by using a recorder that plugs directly into your phone. All you need to do is flip the switch when the phone call begins, and the recorder will catch both sides of the conversation. After recording, you will then need to plug the device into an audio cassette or digital recorder to create a hard copy of the call that you can play over and over again. The Smart Phone Recorder Control is one device you can use to record your home phone calls. Simply plug the recorder into your phone, and it will record both you and the person on the other end of the phone. After recording, you need to transfer the recording to a cassette recorder, or to a digital recorder, which can then be used to play back the call to others. 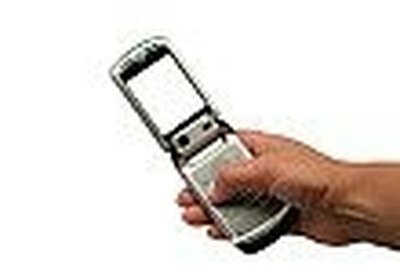 A device like the Olympus TP-7 Recorder is the most effective way to capture cell phone calls. The device plugs into the microphone jack on your cell phone, and automatically starts recording. The only issue with this particular device is that it needs a continuous power source to work - which means you'll need to be near an outlet when you record the call so you can keep the device plugged in. After you complete the call, you can then transfer the recording to any audio cassette or digital recorder to play back the call. Once you have captured the call, you need to transfer it to a cassette or a digital recorder. Any audio cassette recorder, hand-held dictaphone, or digital recorder will work with phone recording devices. Just plug the jacks into the recorder, hit record, and play the call back. You can also transfer the data to your computer using special USB jacks. This will enable you to copy the call onto your SD card to transfer between computers and play back on any desktop or laptop, or you can burn the call directly onto a CD to play in any standard CD player. Burning a CD is a good choice for those who want to use the recorded phone call conversation as evidence of harassment or need to present the call as evidence in court. Keep in mind that in many states, you cannot record a phone call without consent from the party on the other end of the line. In most states, only one party - that's you - needs to consent to the call being recorded, whether the other party knows about it or not. However, twelve states have enacted legislation that requires both parties involved to consent. Some get around this two-party consent rule by having a third party tape the call - that is, have a friend or family member hop on the line from a different phone, and let them record the conversation. Others settle for notifying the other party that the call was recorded after they've recorded what they needed, essentially asking for consent after the deed has been done. Double-check with your state laws before you attempt to record any conversation, because when you record phone calls without staying within the confines of the law, that recording can be excluded as evidence later on. Contributor. "How to Record Phone Calls." , https://legalbeagle.com/5140498-record-phone-calls.html. Accessed 23 April 2019.